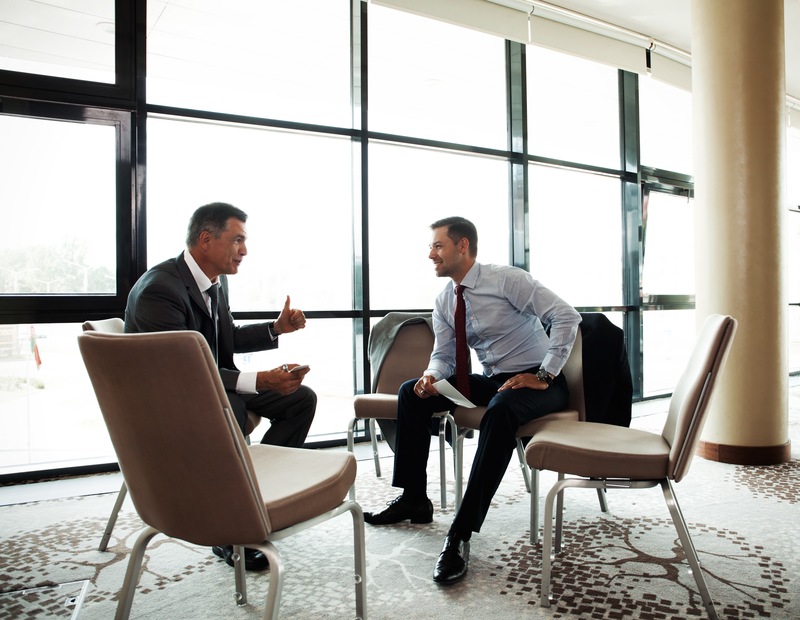 The first time a client tells me they are preparing for a job interview, I talk them through the eight things I believe will matter most in that upcoming interview. After this conversation, I offer a written summary of an interviewing workshop I conducted a few years ago. It’s now time for an update. Read this blog, and just before your next job interview, read it again. It will help you get ready for those eight things that will matter most. Learn what you can through internet research and written materials provided by the recruiter or prospective employer, but don’t neglect what can be learned through conversations. While information drawn from the usual written sources is helpful, it could also be dated or inaccurate. A more nuanced and up-to-date understanding of the job, organization and industry often comes through network conversations and asking clarifying questions before and during the job interview. While interviewing, listen and learn first and then share some of what your research and network has taught you. Throughout the interview continue asking clarifying questions. Learn their side of the story before launching into yours. Sharing comments from people known by both you and the interviewer is especially valuable. Job acquisition is directly tied to network connections 65-80% of the time because trust and attraction is significantly elevated through common connections. Complete a needs/qualifications/stories analysis in a side-by-side format. Use the job description and your market/network information to construct this three column list. In the left column list the top job duties. To the right of each job duty list your qualifications. To the right of that, list a brief reference to a story or two that illustrates your experience for each job duty. Use the CAR model when preparing your stories. Begin with the Challenge, then your Actions, then your Results. People prefer to think in this sequential manner. Don’t forget the results. Too often I have noticed during simulated interviews with my clients that story telling begins with a challenge description, and ends with the actions taken. Leaving out the results neglects the most important parts of the story…. were you successful, and can your success be measured? If you don’t have experience in some aspects of the work you are pursuing, tell how you are a quick study, and offer an example using this same CAR format. How is your energy, drive and vocal variety when you present your ideas and stories? The theory in behaviorally based interviewing is that our past predicts our future. This explains the importance of stories that illustrate your transferable skills, knowledge and experience. Motivation that resides in past accomplishments, however, does not necessarily predict future drive and ambition. When you tell your stories, do so with good energy and a healthy amount of passion and vocal variety. I have conducted many video taped practice interviews, and too often have heard the right words, but with no engaging personality or measurable energy behind those words. Don’t worry so much about getting the perfect words if that means you’ll risk losing your audience. Better to engage the interviewer than to bore them with a lack of personality and energy. Record yourself telling some of your stories. Play them back, then ask yourself if you were engaged by what you heard. For 21 years I heard recruiters present monthly to my executive clients when I worked for the outplacement firm Right Management. These recruiters consistently put fit on the top of their list of importance when selecting a candidate. Employers and recruiters can usually find two or three candidates who could each do the job effectively enough. Which candidate best fits the culture and the boss becomes the next, and likely deciding, factor. A candidate might be the most qualified for a job, but if he or she doesn’t fit, it’s just not going to work. Be your best authentic self. Don’t become a chameleon. That won’t hold up over time. Based on your understanding of what the position/company needs, describe how your past performance, especially your style of working with others in leading, motivating and problem solving, might fit their needs. Trust is essential to establish and maintain throughout the interviewing process. Again, the goal is not to be a chameleon, or to just reveal your positives. Be ready to speak to both your strengths and challenges, successes and mistakes. Leverage the good will of your network sponsors and evangelists. Integrity and trustworthiness comes both from your presentation and your associations. If you are concerned with some questionable things from your past, find a good sounding board to help you shape your message. Don’t “wing it” with the tough questions or you could risk saying too much or not enough, opening the door to doubt and suspicion about your character and integrity. Because landing a job is usually tied directly to network sponsors, I have already made several references to the critical importance of networking. I also want to offer some words of caution. While it is usually very helpful when your sponsors make a call or send an email on your behalf early in the process, be careful not to overdo it. Once you are deeply into the interviewing process, don’t lobby your network to keep promoting you, or you risk sending the message that you are a politician who lobbies indirectly to get what you need rather than through self representation. If you have baggage from a prior negative work experience, let it go. The interviewer will think it is just the tip of the iceberg, with a lot more negativity below the surface that will come out later if you are hired. Be just as aware of your tone and body language as the words you speak. In video interviews I have done with clients, the words have often been right, but the vocal tone and body language were off, sometimes even venomous. Practice talking about some of your difficult past experiences at work. Include both the ones you resolved successfully and the ones you didn’t, but taught you valuable lessons that paid off later. Record yourself and play it back to listen for both the words and tone. After listening to your recording, would you hire you? Always remember that you are not competing with the job description, you are competing with other candidates. Recruiter and friend David Magy once showed me a very useful exercise for assessing competitive factors. Instead of the needs/qualifications/stories exercise I described earlier, do a needs/qualifications/your competitor’s qualifications analysis. What do you think that third column should include as you imagine your most likely competitor’s profile? The second step of this exercise involves crossing out everything that is equal between you and your likely competitor. Whatever is equal between you and them is a “wash”. What remains in your column, and not in theirs, is your competitive advantage, and vice versa. You’ll want to leverage your advantages and prepare to mitigate your competitor’s advantages as the interview process unfolds. In this blog I have offered my best guess about what those people on the other side of the desk will be thinking at your next job interview. You now know more about how you will be evaluated, and how you can prepare. Go back over these 8 factors before your next job interview. Keep sharpening your competitive edge and growing your network, and please share this blog to help others do the same. From “Overqualified?” to “When can you start?” Job Transition: What Can Be Learned From The Movies?